If you often read books about performance appraisals, management, and soft skill development, maybe you will not find a lot of new things here. My intention is to write down all that I have experienced about performance appraisals in my role as a developer, analyst, team leader, manager, scrum master, and coach. I also intend to share with you my work in the last 5 or 6 years related to how to finish with traditional performance appraisals as you know them today. I will not be able to write a novel or a best seller, but I will write a few helpful blog posts. Let’s start with this first post about the subject, and a little bit of context. I will try to avoid a BIG post. In this process, I really need your feedback to know if you are interested in this. Like many bloggers, I am doing this in my free time, and with the support of my family. I am only asking you to give your feedback. If the feedback is negative, fine, it is still good feedback. It will allow me to improve or find another subject where I can add value to your organization/life. If the feedback is positive, it will be a boost of motivation for me. Don’t be shy, share your thoughts and feedback. A performance appraisal (PA), also referred to as a performance review, performance evaluation, (career) development discussion, or employee appraisal is a method by which the job performance of an employee is documented and evaluated. Performance appraisals are a part of career development and consist of regular reviews of employee performance within organizations. You can find a few more definitions in books or through an internet search engine, but with the same spirit. Some time ago, after years of doing traditional evaluations, performance reports, and acting as a performance judge, I decided to do something different. I started questioning “why” I was playing the role of judge. I hate it. My first answer to the question was: “Human resources asked me for that.” It was easy, but I was not happy with this answer. So, I started to question some practices in the HR department, but I was not very successful. I tried to understand why HR needed this process. This is when I started to hear what everyone can read in any book or survey about traditional performance appraisals. I will not name them all, or explain them in depth, because all are very well documented and I don’t like to be repetitive. Giving feedback to employees. Appraisals are said to provide continuing feedback to employees about their performance. Providing feedback is great, but I asked, “What do you mean by continue?” Is it giving feedback every 12 or 6 months? Those are the most common timelines I know. More importantly, if somebody does something wrong or very good, should I wait to apply correction or to reinforce the behavior? Promoting people. Yeah! People take the last 2 or 3 performance appraisals, and they decide the best candidate for the empty (or new) position. There’s nothing wrong with that, until we discover that often those performance appraisals were done by only one person, who must evaluate 12 employees or more in a short period of time, and only because he or she was obliged to do it. Legal purposes. The organization wants to cover their back when they decide to fire somebody. I am not a lawyer, and in my personal experience I have never understood this one. There is no law asking for this. I checked with a few lawyers. They said that when employers reach the point of wanting to use the performance appraisal as a “tool” against the employees, they realize that they are not able to do it because it was done in the wrong way, or because they cannot get any extra value from it. In conclusion, my dear HR people, you need to stop thinking about your back and start thinking about your employees. Reduction of personnel. Yes, when a reduction of personnel is planned, those with poor evaluations are out. Upper management needs tools to make this decision, so an easy choice is to use performance appraisals from the last year, or perhaps the last 2 years if they’re lucky. And yes, I can confirm that it is not accurate at all. Organizations have lost very good employees this way while keeping lesser employees. It’s funny, but it’s true. It happens very often. And a few more depending the book or article you read. We need to reduce the number of employees. What should we do to reduce 20 people this unit? –> Here are all the performance appraisals. Check the worst 20 and that is all. In the worst case, you have a very well-funded process. Somebody asks to be promoted, but we are not sure if it is the right fit. What we should do? –> Check the last 1 or 2 performance appraisals, and if something is wrong, open the position to external people. In any case, you have a very well-funded process. At the end, the performance appraisal seems to be the silver bullet for any kind of decision we need to take involving employees. Is it the fault of the HR department? NO. The answer is NO, and it will always be NO. In my opinion the culture, the management style of the organization, and the focus on the symptoms of the problem are a bad combination. They encourage this reliance on using the wrong tool to address the real issue. I am not able to point fingers, but I can still help. Those who want to innovate will appreciate this series of posts. Those who don’t want to innovate will add my name to their enemies list. I can assume that risk. Today there are many studies, articles, and books about this. I love the top 2 and I like the # 3, but I don’t believe that you always have to use “smart” goals. More effective ways to define goals are available today. We will talk about them later. What are your reflections about this? Does what I have just written makes sense for you? Feel free to share your thoughts here. In my next post I will explain why performance appraisals aren’t working any more. It will be the last post about context. After that, I will jump on what I tried and the result. Stay tuned! Drucker, Peter F. 1993. Post-Capitalist Society. Oxford: Butterworth Heinemann. Good post 🙂 As you know I am completely against Performance APpraisals. By the way, you have me as a beta reader. Keep you in touch with the progress of your book. Greetings again. Yes, the subject is very important, and yes again it is generally misunderstood in terms of its impact. So, I applaud you for venturing to set us straight. As I at least suggested in prior posts between us, the nonprofit Humaneering Technology Initiative ( http://eanpc.eu/insights/Focus/82 ) for which I have been a volunteer leader for the past 12 years did substantial literature and applied research on approaches to performance management, including performance appraisal. The findings call for a radical shift in how businesses approach performance management overall and performance appraisal overall, if only to stem the performance lowering effects that now result (i.e., had a positive impact in fewer than 20% of employee situations evaluated, across organization levels and industries; N=>20,000). If you are interested and will contact me by email, we can set aside some time to talk by phone and I will review key aspects of the research findings with you (which you can share with your readers if you wish). Your comment is very appreciated. And yes, I started to read your links (not finish yet). My second post will relate to why in the way we are running performance appraisal is not working fine. If I understood well what I read from your links, I will be able to get a lot of info from there. I will really take your invitation, but to be more efficient, let me do my homework during the next week, and we could set up something like a call or skype/hangouts. I rather liked the post. 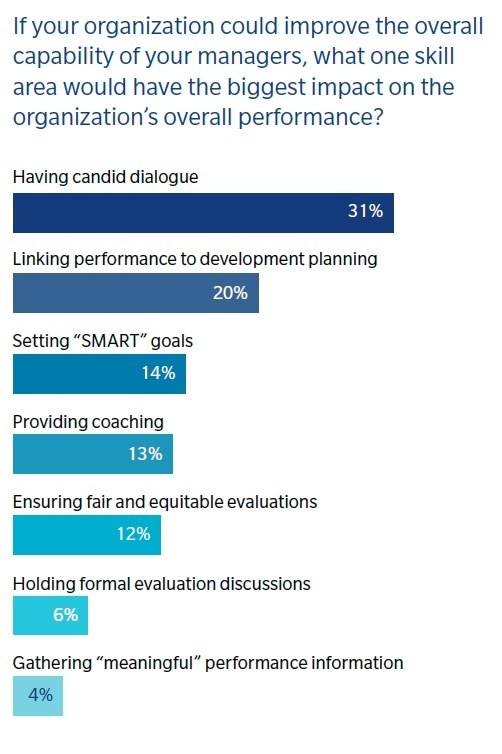 I would have liked to see a deeper analysis about the cultural traits of the organizations that help the practice of performance appraisal to get ingraned. Not all companies I worked for had them, specially the smaller ones. Is it that once companies get big and impersonal this type of process always takes hold? What basic needs of the organization are performance appraisals covering? Also, would be interesting to know what, if any, other techniques are there to tackle these needs the organization has. Is it that performance appraisals is the best we can do? I would love to read that post you mention you will write about more effective ways to write goals. You have very good questions, and that motivates me to write more about it. As I said, my intention with this post is validate the interest from people, and with that in mind, I will invest better my time to write useful posts. My next posts will be a little more of context (I want to avoid long posts), and after that, I will start with a few techniques. Since you asked for another effective way to do goals, I will put that as the first post about the techniques. I will need between 1 or 2 posts more before, start with techniques. I will appreciate your patience, and please stay tuned to let your feedback and questions that you would like to see answered in this post series. The main goal of performance appraisals has to be … improving organizational performance. Individual rank & rate appraisals, executed infrequently, corrupted by pressures of time, pay, and promotion potential, are about as far from improving performance as you can get! Use Agile Daily Scrum and Sprint Retrospectives to improve team performance, and separately, apply modern problem-solving techniques (e.g. http://popcornflow.com/) to solve whatever other problems “performance appraisal” was supposed to solve. Thanks for sharing your comments. I personally love that book. However, the answer to your question, is yes. We need more books, more people spreading the words, more people changing the status-quo. Yeah, improve the ecosystem should be the target. The ecosystem could be a team, a business unit, the full organization, or even more, sometimes we need to improve the full ecosystem (organization and customers). The name is not important, the point is the same, stop to focus in the “individual” target. Principally when your organization depend in a bigger ecosystem. I read something about the popcornflow technique, I like it, and it is very “lean”, that is the part I more like. Stay tuned, I have one or two more posts with theory/context and I will start to add techniques to address the evaluation of the ecosystem. Feel free to propose your favorite one, I am open to share the space, my idea behind this is building a fantastic set of tools to help other to spread the buzz. I really believe that a book is not enough, we need more books, and more people with the energy to do the things differently. I found the post interesting and while there are many people, especially from an Agile perspective, who comment on the problems of Performance Reviews, I’d also like to see the positive aspects approached and discussed. It can’t *all* be bad, can it? Is it true that HR needs to have Performance Reviews? Do you think that no employee likes them? I’ve been involved in many PRs as an evaluator, which you mentioned as a ‘judge’. I felt more like a moderator rather than a judge as the PR involved feedback from myself, up to 8 peers, a technical lead and also a self-evaluation. From my side, it was a compilation of the feedback I’d given during the year, while having to put a number to it. There were no (or very few) surprises for the person evaluated. Also it was used as a celebration of all the work that was accomplished as many times the person forgot everything that they had done during the year. Several people commented how much they liked to hear the compilation of their work and looked forward to the PR. I’m looking forward to reading more posts about the subject Omar. Now, I am working as a coach, and I don’t have people reporting to me, but I can feel the pain in others. 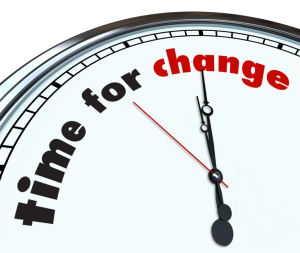 Every organization has the best of the intentions when they decide to start/continue with the performance appraisals. But employees and society really changed, and I believe that performance appraisals are not efficient anymore. 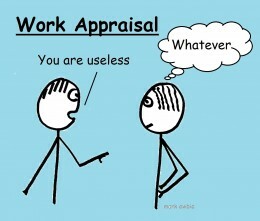 Organizations need a performance appraisal makeover. In that makeover, they need to address all things they really need, and let drops those they don’t need or make any sense. I am sure that doing that, they will get rid of performance appraisal and a new process more adapted to todays’s organization (or ecosystem) will born. I am agile coach, but I am not convinced that this is an agile problem. Employees, society, and organizations changed in the last 50 years. We need to re-adapt us. Again, thanks for your comments and feel free to challenge all what I write. It forces me to re-think and reflect on what I am doing.